Tron's former lieutenant, Dyson, now working for Clu, arrives in Argon City to check on General Tessler's progress in stopping the Renegade. 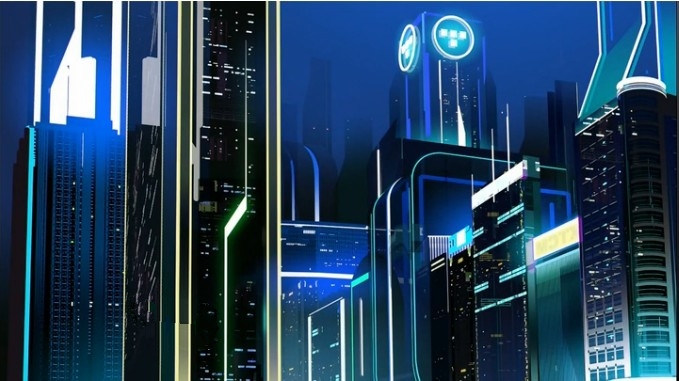 During Tron's flashback to his time working with Clu to protect the Grid, at 7:36 in the episode, we see that Tron operates from a building that has his symbol on it! 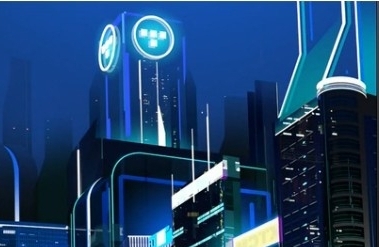 The Tron building? The flashback of Tron's "death" at the hands of Clu here is very similar to that seen in Legacy, except for the inclusion of Dyson, who does not appear in Legacy at all, and the difference in the color of Tron's armor (white here, black in Legacy). The music played during this scene is also the same in both cases.